Country music entertainer, military veteran and award-winning TV host CRAIG MORGAN recently launched The Gallery at Morgan Farms in his hometown of Dickson, TN. The family owned-and-operated farm-to-home business creates organic items and products from reclaimed, repurposed, and recycled materials. The Gallery at Morgan Farms is the first storefront for the Morgan Farms brand. Visit The Gallery at Morgan Farms at 123 N. Main St in downtown Dickson, Tennessee, open Tuesday through Saturdays from 10 a.m. to 6 p.m. or at http://bit.ly/MorganFarms. The gallery got its start via the organic honey harvested from Craig’s beehives. His bees and the honey they produce will be prominently featured in the store, including a live beehive display. The store will offer honey and beeswax related products including lip balms and candles; Craig’s son Kyle Greer will soon be producing a line of beard-related grooming products. The Gallery at Morgan Farms will feature a variety of artisan items handmade by Craig, including one-of-a-kind hand-carved wooden table centerpieces, bowls, spoons, cheese trays, bread boards, serving trays, cutting boards, candle holders and more. Offerings will also include furniture accessories created from pallet materials by Craig and his family. Quilts and other hand-sewn items from Craig's wife Karen Greer, his daughter Alexandra Beaird and other family members will also be showcased at The Gallery at Morgan Farms. Each piece offered by Craig and his family has a unique story and is made from repurposed, reclaimed, and recycled materials. The gallery will also feature items created and produced by some of Craig's fellow musician friends including Zac Brown, Billy Dean, Eric Paslay and more. In addition, Craig and Karen have commissioned local Dickson artist Kimberly Daniel to paint various scenes from around Craig’s farm. Prints and giclée reproductions as well as several of the custom paintings will be available in the store. The Gallery at Morgan Farms is an art piece in and of itself. Constructed in 1920, the building was at one time a furniture company and later housed an undertaker’s offices. Keeping with Morgan Farms’ mission to reclaim, repurpose and recycle, Craig and family took careful steps to restore the building to its original state. Craig will bring his intimate Operation FINALLY HOME presents “American Stories Tour” to Nashville’s City Winery on Veteran’s Day, November 11, along with special guests Tracy Lawrence, Greg Stube and Tate Stevens. Tickets are available at http://bit.ly/CraigMorganNashville. Get a preview of Craig Morgan’s “American Stories Tour” at YouTube.com/CraigMorgan. 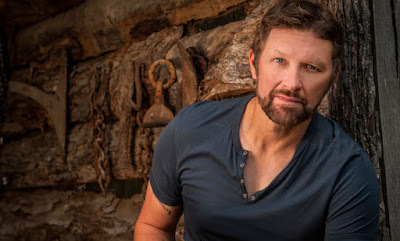 CRAIG MORGAN DEBUTS "MORGAN FARMS"